Limit 10 copies per customer. Choose your side. Fight the invasions. Enter the RIFT. 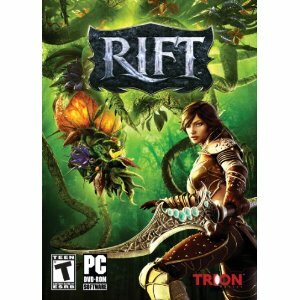 Join legions of adventurers in RIFT™, a new fantasy massively multiplayer online role-playing game (MMORPG) set in a world being torn apart. 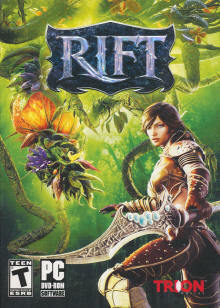 Rifts violently rip into reality across the land and release powerful forces that threaten the very existence of Telara. Each breach brings with it new characters, events, and treasures, while the world itself changes dynamically around you. Play with your friends across vast, lavishly detailed environments, or go head-to-head in challenging Player versus Player (PvP) combat as you battle to uncover the secrets of the planes. Build and advance your character using an innovative new class system with limitless possibilities. Please note - Rift is a MMO (Massive Multiplayer Online) game. A high speed internet connection is required (see full system requirements below). Similar to World of Warcraft where buying this retail version does give you 30 day subscription for new accounts; additional fees apply thereafter. 8 Primal Forces: Creatures from the Air, Earth, Fire, Water, Life, and Death planes battle for control of the world of Telara! Two warring faction - she Guardians and the Defiant - face off against each other and fight extra-planar creatures as they seek to save the world. 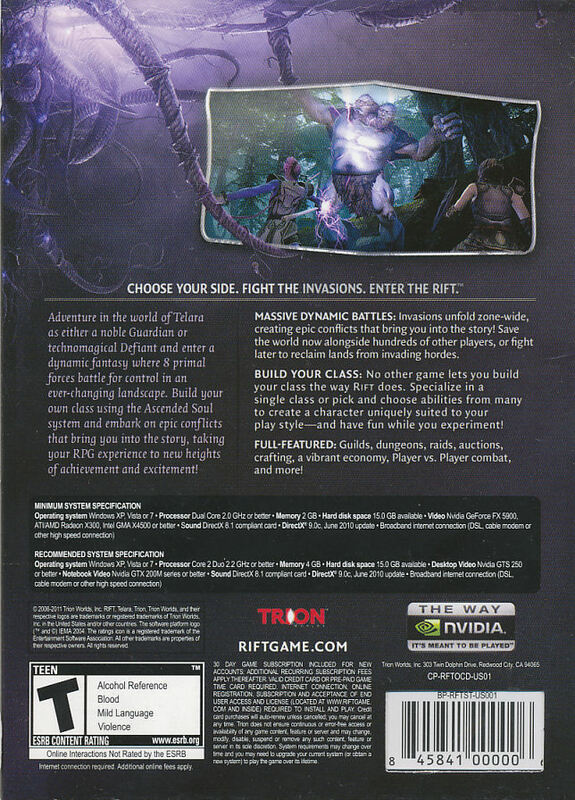 Build Your Class: No other game lets you build your class the way RIFT does. Specialize in a single class or pick and choose abilities from many to create a character uniquely suited to your play style - and have fun while you experiment! Choose Your Role: Each character can have up to four different roles, so you can choose different classes for every situation! You might have one for PvP and another for raids; or perhaps you want a high-damage or high-defense build. The choice is yours to mix and match as you see fit! Deeper Gameplay: New features like Guild Quests and Artifact Collections enhance your gaming experience by giving you earned achievements that matter. Dynamic Layered Content: Telara pulses with activity. Thousands of unexpected encounters - from wandering merchants to explosive rifts that unleash massive planar invasions - create an unparalleled experience that goes beyond static quests and story arcs. RIFT's dynamic layered content redefines the meaning of a living, breathing world. Full-Featured: Guilds, dungeons, raids, auctions, crafting, a vibrant economy, Player vs. Player combat, and more! 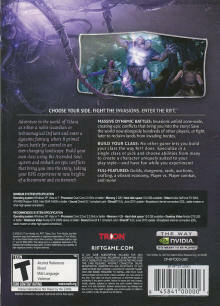 Highly Accessible HD Graphics: Play a game that has stunning visuals on virtually any computer, even if your PC isn't state-of-the-art. 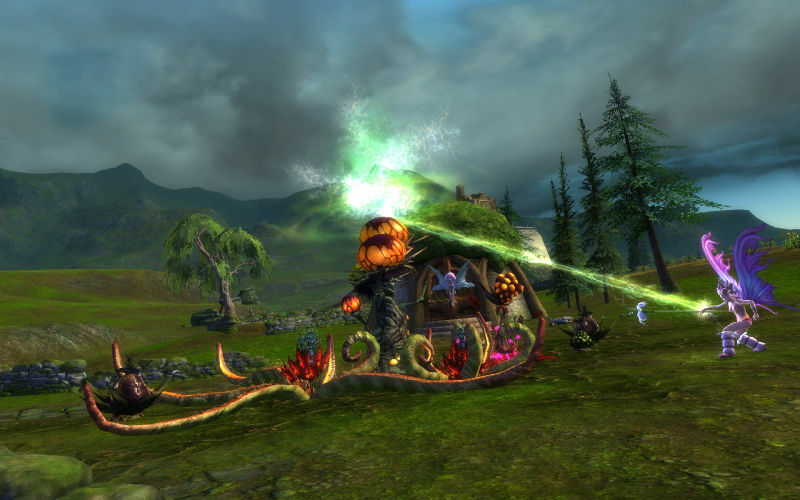 PvP combat: Battle others in exhilarating Player vs. Player combat! Earn PvP ranks, titles, loot, and unique Souls to further enhance your character. Head to cross-server Warfronts and fight others in world PvP. Unique Class System: Collect and embrace the souls of Telara's ancient champions to gain their unique powers and abilities. Shape and progress your character with RIFT's unique class system as you see fit, with hundreds of possible combinations.